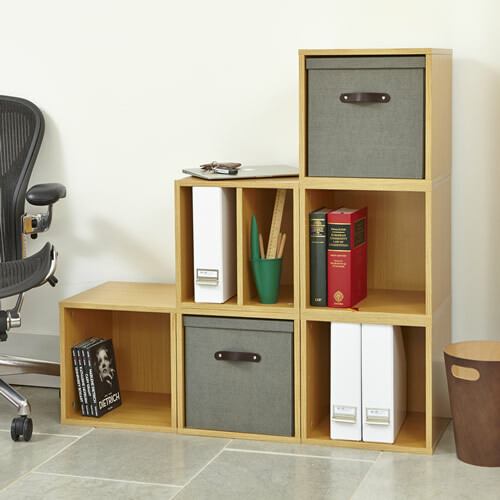 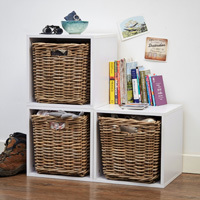 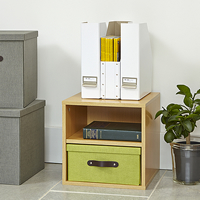 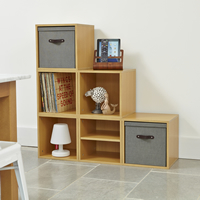 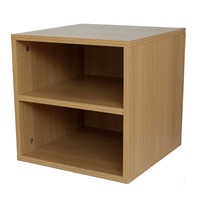 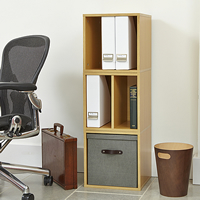 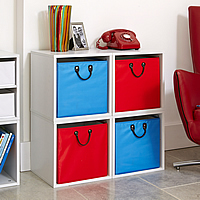 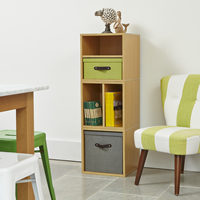 Our set of 6 wooden modular storage cubes for the home office are available in either a white or oak finish and come complete with 2 grey lidded boxes inside to really swallow the office clutter. 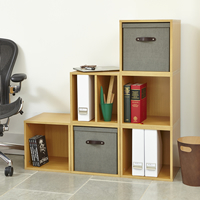 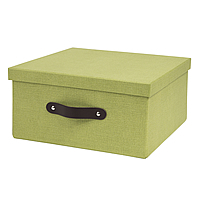 The open cubes are ideal for storing (as shown) books and files plus paper work etc. 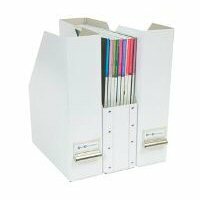 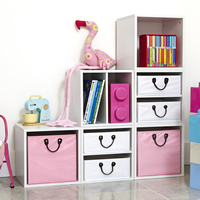 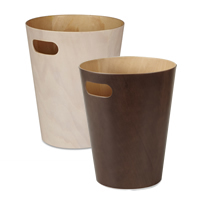 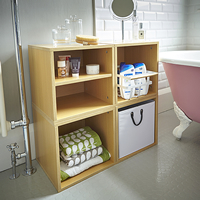 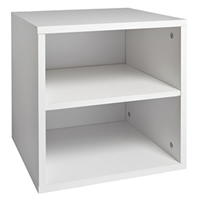 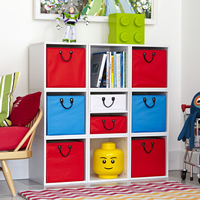 and they can be used with or without the removable divider shelf. 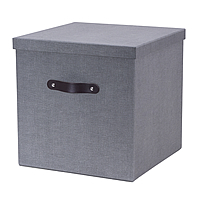 The grey boxes included in this solution are made from a sturdy canvas effect reinforced fibreboard making them great for withstanding constant daily use and for storing bulky paper work, cables etc.